Mommy Needs Wine! All in fun? Or a cry for help? We all have rough days, and by the time five o'clock rolls around, most of us are ready to change gears, to relax, kick back... and do something that doesn't require being laser-focused on a toddler who wants to feed the dog her Legos and flush Hatchimals down the toilet. On days like this, we might see a mom friend post on Facebook, "Mommy needs wine!" And all the moms rally and offer to show up with wine, or plan to meet at the bar for a much-needed GNO. I totally get that mommy needs a serious break. I've been there. When I look back to my days as a young mom, I sometimes wonder how we packed so much into every day when I was E-X-H-A-U-S-T-E-D, with three girls who each had strong opinions about how our time would be spent. Were you the recipient of a bunch of eye rolls when you tried to add some extra movement into your day after listening to last week's podcast? 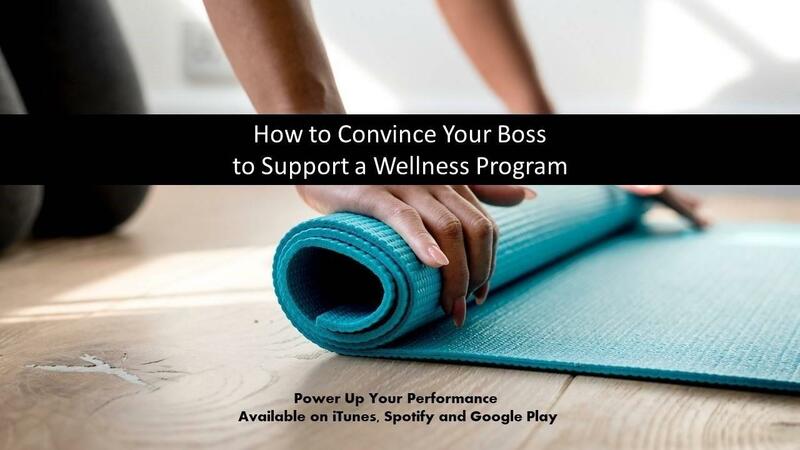 If the people you work with thought you were slacking when you took your movement breaks, this podcast has the facts and statistics you need to convince leaders in your organization that a workplace wellness program is good for the bottom line. You don't have to start with a fancy, high-tech wellness program. You can start small by making it fun, and getting people talking, laughing and moving together. 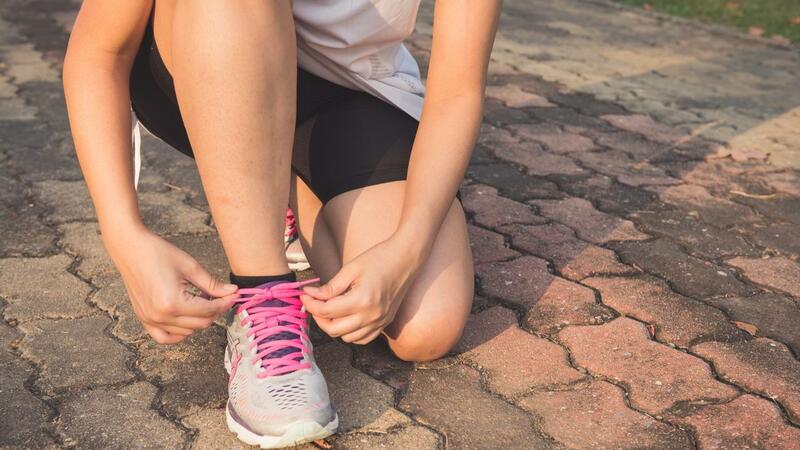 A wellness program that involves some form of movement--running, yoga, pilates, walking- will benefit your company in huge ways. In addition to helping individuals improve attention, motivation, focus and a sense of well-being, they contribute to productivity, a sense of belonging and help people work together better as a team. 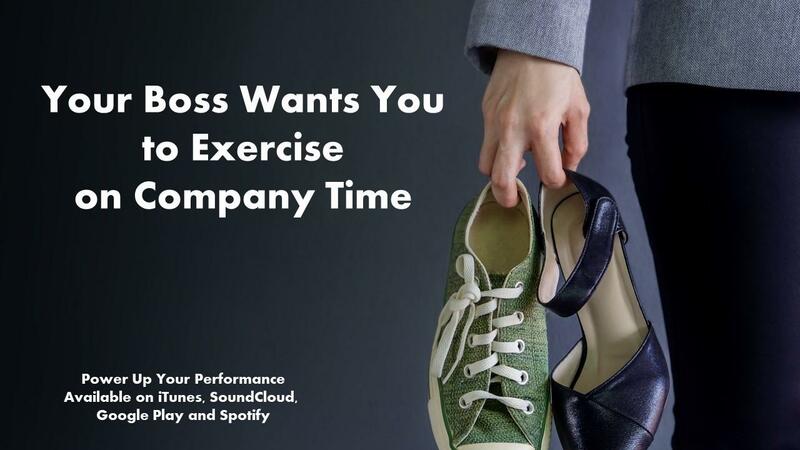 Today’s episode is all about how you can use wellness in the workplace to boost productivity. But, even if you are not a manager or leader at work, I want you to listen to this because 1) you might have a leader in your life who needs to hear this message. And 2) because we are all leaders, whether it’s leading our families or leading committees at our kids’ schools or participating as volunteers at church or other community organizations. You’re trying to lead a team. You have products to develop, projects to deliver, and budgets to hit. But, you have a huge problem. Energy is low and your team is not performing. Their communication is in the dumps, and they are competing against each other when they should be collaborating. The average person in the U.S. does not get the amount of weekly exercise recommended by the Centers for Disease Control. The minimum recommendation is 2 ½ hours of moderate intensity exercise a week – and two days of strength training a week for all major muscle groups. 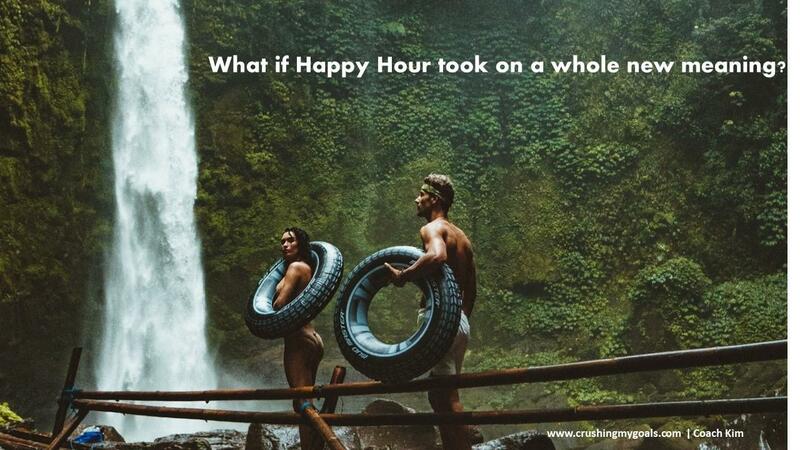 That’s just 30 minutes, five times a week for the moderate intensity exercise, which could include walking. So, why is it so hard to fit this exercise into our day? We all know that exercise is good for us, and most people acknowledge its importance. When I hear people talking about why they don’t exercise, lack of time is usually one of the first reasons they mention. And, I get that. We have work, and kids and relationships, and chores, and we need time to just chill... and catch up on our favorite Netflix series.